in more recent times, wig services throughout South East England. Graduating from the Institute of Trichologists in 1993 and managing a clinic in London and Kent for the last 20 years. Jane offers a sympathetic and sensitive service to all aspects of hair loss and scalp issues. She has a special focus on underlying factors with nutrition forming a large part of her service and treatment advice. Contact the clinic for advice and making an appointment. Clinical trichology is the analysis and treatment of disorders affecting the hair and scalp. Damage and problems with texture can be caused by over exposure to heat, strong chemicals or by many other stresses and strains to which we subject our tresses. A tailor made care regime can be designed for you to enjoy once again healthy looking hair. Currently there are numerous products available and Sometimes it seems easy to self treat when a problem occurs. Often there may be short term benefit but where the condition persists specialist care is needed. The reason is the problems are frequently the result of underlying changes. The holistic approach is where an individuals hair and scalp condition is related to body changes or external factors. Health, diet and lifestyle all play a part in producing changes and disturbing metabolism. Certain types of hairloss can be caused by vitamin or mineral imbalances. Misuse of products may cause damage to the hair and or scalp. The clinic treats conditions and problems in both the corrective and preventative sense and will determine the underlying causes, once diagnosed the trichologist can then recommend a treatment program for both home and clinic visits. 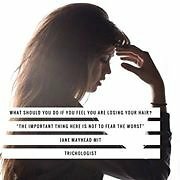 The trichology clinic offers a holistic approach to hair and scalp health care. Advice and treatment are available. Clinic and home therapy is recommended after an initial consultation. Combined with trichological products tailored to individual need. 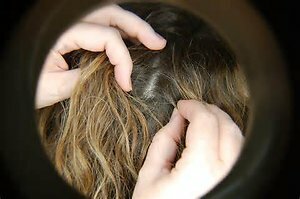 A detailed case history is conducted with a thorough scalp examination, which may include samples for microscopic examination. Once all the information and examination is completed a preliminary diagnosis can be made for the condition. Treatment for the problem can then be discussed or further tests may be needed to confirm or complete the diagnosis such as blood analysis. The consultation is private and not available on the NHS. 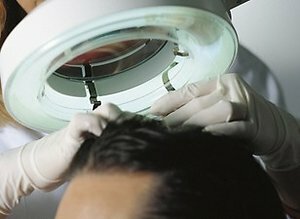 Hair Replacement Clinic Where appropriate, the Trichologist can give full advice and referral to restoration / transplant surgeons. A non-surgical replacement service is available for those seeking to replace or gain added hair in the form of volumisers or wigs. From a fully bespoke to ready made wig or hair piece there is a wide choice available. Patch cover items can also be made. Full wig fitting guidance and support is also provided. For information on any of these services please contact the clinic. Jane Graduated from the Institute of Trichologists in 1993. A consulting Trichologist for London’s famous Hale clinic for many years, Jane also runs a local practice in her Kent home town, where she has campaigned for women with Alopecia, and set up a support group there. Her Sensitive and sympathetic treatment of the subject has made her popular with patients. Her Holistic approach is well received, and her attention to dietary issues has proved especially popular. She also consults at Harley St London. 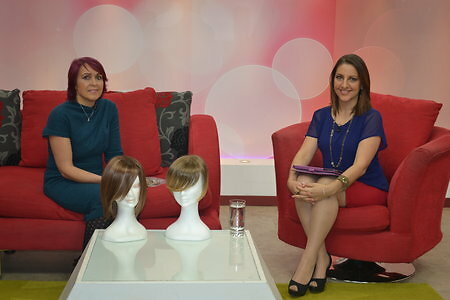 Jane also shares her expertise and has written newsletters, provides lectures in salons throughout the South East of England, advising on subjects such as Alopecia, wigs, replacement systems, scalp problems and damage caused by hairdressing. She has also featured in many articles for media on topics such as Alopecia in publications including The Daily Mirror , The Metro, The Times, Best Magazine, prima, Chat, health magazine and numerous local publications. She also writes about the subjects on websites including Hair and Scalp Expert Jane also featured as the Trichologist for the Regaine for women Campaign. She attended as speaker for the press launch in London addressing the media about Androgenic Alopecia. Then featured as the ‘Ask the expert’ on the website. Jane also appeared on The CrissyB show. Jane has a range of her own specialist products which treat many difficult scalp problems. Need Help? Want to make an appointment? Contact the Clinc on 01634 780554 . All types of hairloss and scalp problems are treated at the clinic. 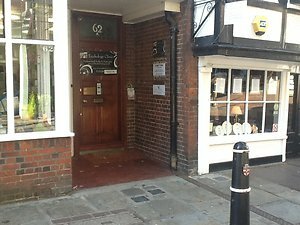 The Kent practice is situated in historic Rochester within the Medway towns in easy reach of Chatham, Gillingham and surrounding towns.